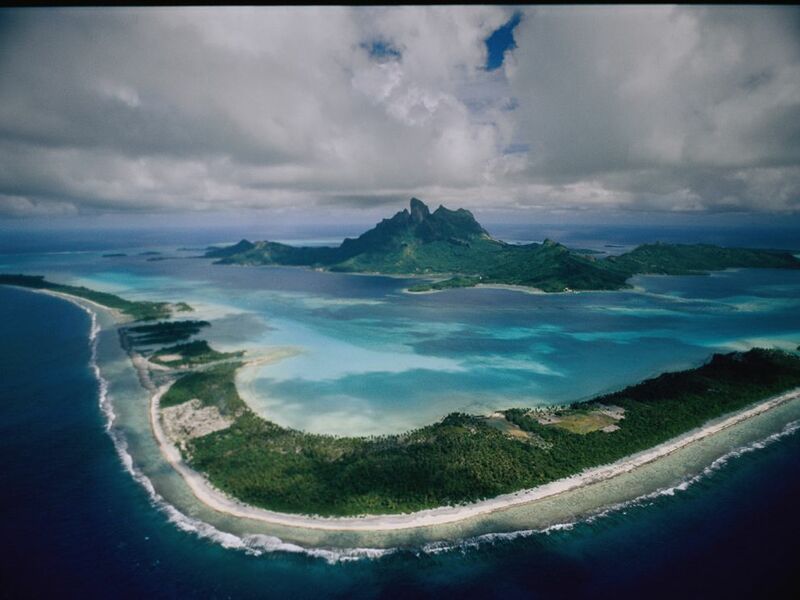 Photo: Aerial view of Bora-Bora, its white beaches ringed by a coral reef. The white beaches of Bora-Bora are ringed by a series of keys. The coconut palms and mangrove trees that eventually take root on keys can help local residents establish sustainable agricultural practices. In addition to coconuts, keys can yield tropical fruit crops such as mangoes and guavas.